16 miles of unbroken Scottish golf coastline. Ayrshire on the West coast of Scotland boasts close to 50 courses, the area is probably best known for its links courses which are some of the best in the world and includes the likes of Royal Troon, Turnberry, Prestwick Golf Club and Dundonald Links. Golf is a part of life on the west coast of Scotland and this is no more evident than in a unique stretch of golfing coastline that runs 16 miles with the largest break between courses being only 500 metres. You could virtually play the entire 16 miles starting at Gailes Links and finishing at Old Tom Morris club, Prestwick St Nicholas. There are no less than 11 courses along this stretch and include Open championship venues, Scottish Open venues and some real hidden gems. The courses include Gailes Links, which is the 9th oldest club in the world and currently Scotland’s Open qualifying course. A short walk takes you to Dundonald Links, the new kid on the block, established in 2003 and is now the host to The 2017 AAM Scottish Open and Ladies Scottish Open on the European Tours. Across the railway sits the majestic Western Gailes, one of Scotland’s finest links courses and a must play when visiting Ayrshire. 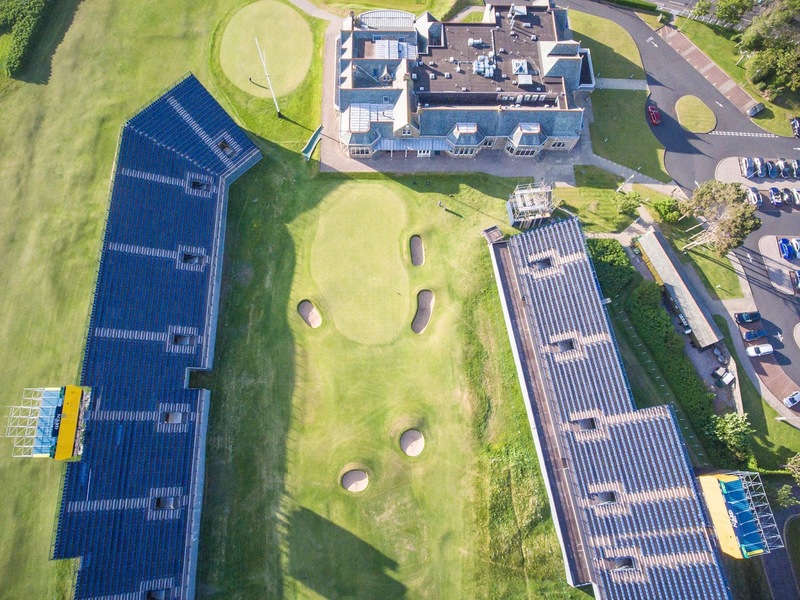 The course sits on land between the railway and the sea that measures only a few hundred yards across with rugged sand dunes and burns capturing this fantastic layout. A short walk over a road and you come to Troon Links, Troon Links is the envy of most councils as they provide 3 of the best public links courses in the country including the tough Darley course (Jack Nicklaus shot 82 here in Open qualifying, so a stern test) Troon Fullarton, a short course perfect for holiday golfers and beginners and finally Troon Lochgreen which runs adjacent to Royal Troon Golf club. 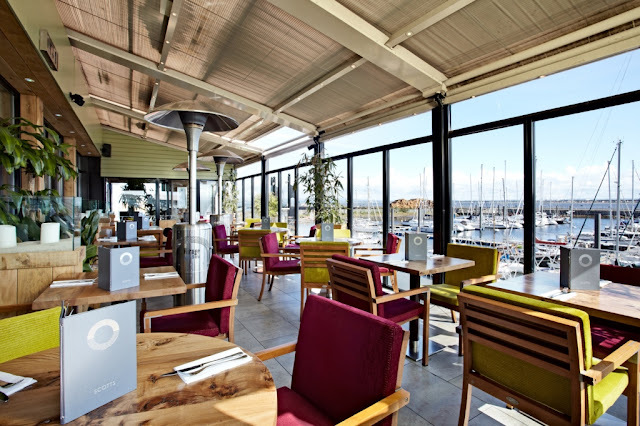 Now in the heart of Troon be sure to stop off in the town and have a bite to eat and drink at Scotts at the Troon Marina or if you fancy some good old fashioned fish and chips, check out the wee hurrie for the best you will find. Now you might also be thirsty at this point so pop into the Jar Troon for a spot of whisky tasting, David the owner will talk you through how best to enjoy your dram! A hop skip and a jump later takes you over to Royal Troon. 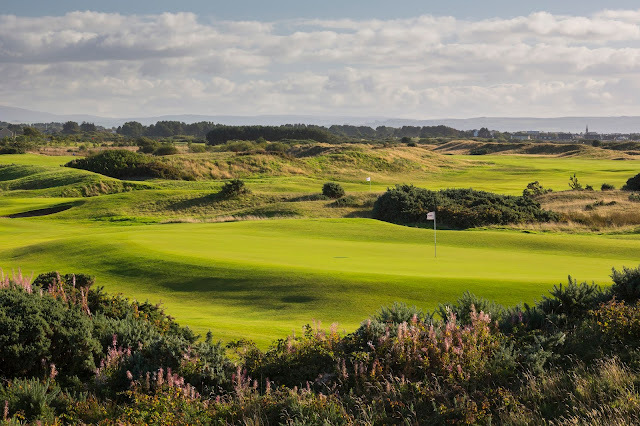 Royal Troon Golf Club boasts two courses, the Portland course and of course the Championship course which played host to one of the greatest Opens last year when Henrik Stenson won his first Claret Jug. A caravan park separates Royal troon from our next world renowned course! Prestwick Golf club is where the very first Open Championship was played back in 1860, a more historic golf club you won’t find. Be sure to do lunch at the members table when playing and explore the clubhouse which is like a museum of Golf. Finally the longest walk between the courses of approx. 500m takes to you to Prestwick St Nicholas, the 26th Oldest club in the world and founded by Old Tom Morris in 1851, As traditional a links as you will find. 16 miles, 11 courses and some fine 19th holes along the way.